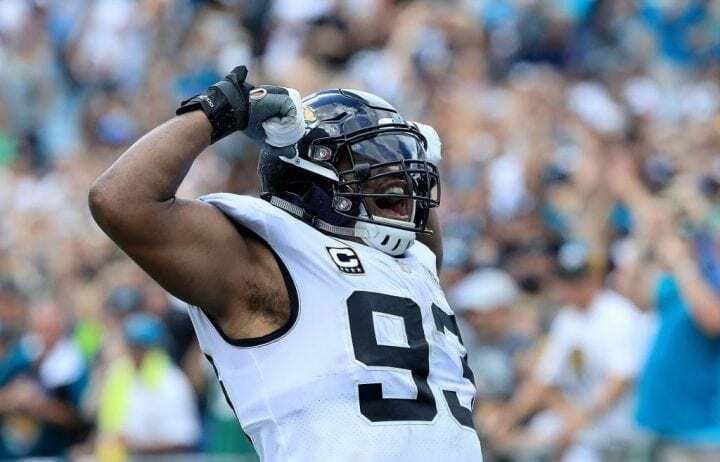 This week’s AFC power rankings features a Top 2 that will meet Sunday in what could a preview of the conference championship game in a few months. 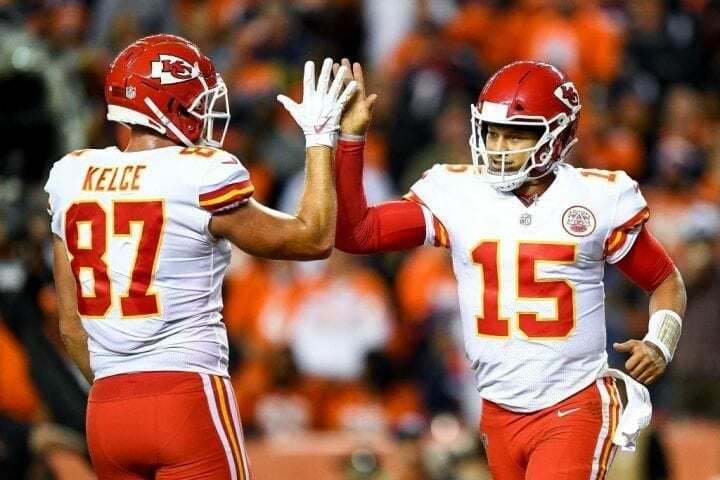 Patrick Mahomes tossed his 14th touchdown pass in Monday Night’s win over the Denver Broncos and in concert with Kareem Hunt, Tyreek Hill and Travis Kelce, directs the league’s No. 1 scoring team (36.2). But the problem – and it’s a bad one – is the defensive secondary which has allowed more passing yards (1,314) than Mahomes has produced. The Chiefs play Jacksonville this week and won’t that be interesting. Mahomes will face the NFL’s best defense in fewest yards allowed, fewest points allowed and, most intriguingly, fewest passing yards allowed. In baseball they say good pitching always prevails, so that would favor Mahomes over Blake Bortles, especially if Leonard Fournette (hamstring) is not around to help him. But in last week’s 31-12 demolition of Jets, the Jags allowed only 34 yards rushing and 178 total yards. Let’s see if Mahomes can overcome that. 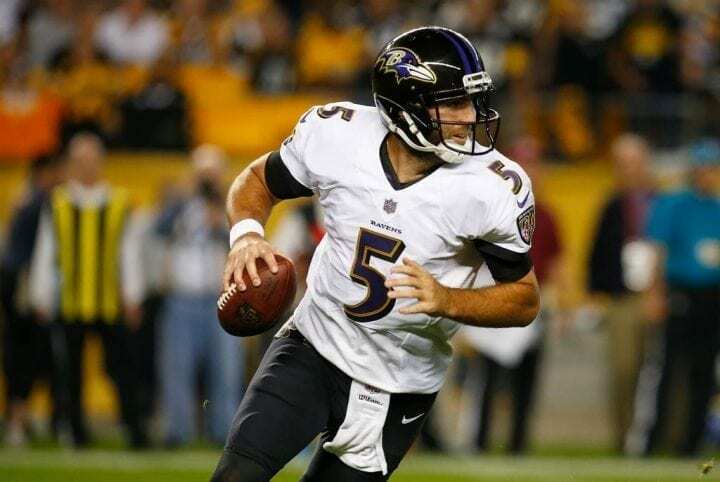 Maybe it was the drafting of quarterback Lamar Jackson that finally did it, but Joe Flacco looked suddenly rejuvenated on Sunday Night, picking apart the pitiful Steelers defense for 363 yards and two touchdowns. But look at Baltimore’s defense: It allowed only 50 passing yards and no points in the second half. The Ravens haven’t allowed a TD in the second half of their first four games, the first team since 2006 to accomplish it. Quietly, the Titans have thrust themselves into the Top 5 by beating the Jags and Philadelphia Eagles in consecutive weeks. And they beat the Eagles after trailing by two TDs in the third quarter – not an easy thing to do. But what we like the most is the gumption with which Marcus Mariota is playing. With a bad elbow, he completed 30-of-43 for 344 yards against the Eagles. Rookie coach Mike Vrabel leads like he played – with fearlessness. This could be a playoff team. 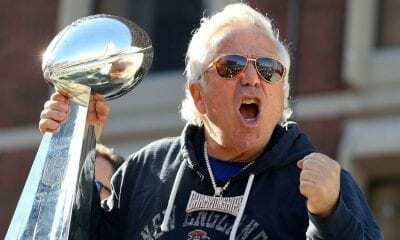 The Pats reasserted themselves by embarrassing the upstart Miami Dolphins last week and are now on the road to another AFC East title. What’s more, Tom Brady gets Julian Edelman back on Thursday against the Colts for the first time since 2016 because of an ACL injury in 2017 and a four-game suspension this season. That could be offset if The Gronk can’t play because of his ankle problems. The Bengals get the rebounding Dolphins this week following their impressive 37-36 road win in Atlanta. Andy Dalton has looked great, especially during the game-winning, 75-yard drive in the last four minutes that culminated with his 13-yard TD strike to A.J. Green. Dalton now has as many (22) game-winning drives as Boomer Esiason did with the Bengals. Philip Rivers and Melvin Gordon have gotten the Bolts offense off to an impressive start. 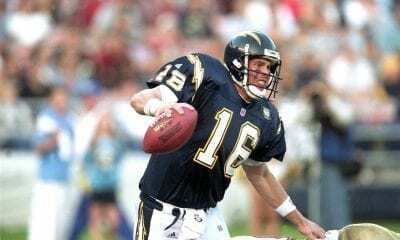 Rivers already has 11 TD passes, second to Mahomes. Gordon already has 10 carries for over 10 yards and has accounted for a league-leading 25 first downs. What would help is the return of defensive end Joey Bosa. He bruised a foot on Aug. 7 and has yet to play. We have a feeling the Dolphins may be headed south in the power rankings after the gut punch from the Pats. An offense that looked so good in the first three weeks is now showing the impact of having three offensive linemen on IR. The defense allowed the Pats to gain 175 yards rushing and William Hayes, the team’s best run defender, will not play again this season. Look out below. Let’s be honest about this. Case Keenum helped get the Minnesota Vikings to the NFC Championship game last season, but you’d have to admit he’s the fourth-best QB in the AFC West behind Mahomes, Rivers and Derek Carr. That puts the Broncos at a disadvantage. We like rookie RB Royce Freeman and they did control most of the game on Monday before losing to the Chiefs. But it’s going to be hard for them to make the playoffs. The best thing you can say is that J.J. Watt is healthy again and playing like the All-Pro he is. Watt, a three-time defensive player of the year, already has five sacks, six tackles for losses and four forced fumbles. This week, the Texans play the Dallas Cowboys and it will be up to Watt, Jadeveon Clowney and defensive coordinator Romeo Crennel to control Zeke Elliott, who had 152 yards against the Detroit Lions last week. When was the last time you could have imagined the Steelers ranked this low in any power ranking? Then again, these are desperate times for the Steel Curtain defense, one whose secondary is porous. Pittsburgh is 1-2-1 and you can easily imagine them 1-3 had the Cleveland Browns finished the job in Week 1. The Steelers have scored only six points in the first quarter and nine in the fourth. They can’t start and they don’t finish. Jon Gruden won the first game of his reincarnation as Raiders coach on Sunday against the Browns and now they are off to LA to play the Chargers. There was much to celebrate, thanks mostly to Carr. The Raiders gained 565 yards, the most by any club this season and the second-most for the team since the 1970 merger. What’s more, Carr threw for over 400 yards, had two 100-yard receivers and one 100-yard rusher, the first time the Raiders have done that since 1964. We love the Browns. They are playing with so much spirit this season. 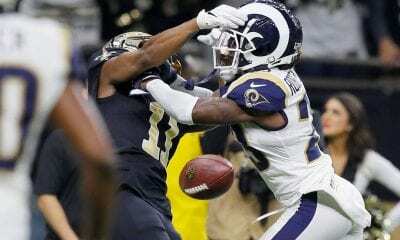 They have won once and been close three other times, including Sunday at Oakland when they had a 14-point second-half lead only to watch the Raiders tie the game with 30 seconds remaining and win 45-42 in overtime. Cleveland’s games have been settled by an average of 2 ½ points. Just wait until Baker Mayfield gets loose. The Colts fought back from an 18-point deficit and sacked Deshaun Watson seven times before losing in OT to the Texans last week. Now they get to play the Pats in New England on Thursday. You figure Andrew Luck might have a chance to do some damage, but receiver T. J. Hilton suffered chest and hamstring injuries in Houston. Hilton, who has played in four Pro Bowls, has missed only two games in seven seasons. The Jets were terrible in Sunday’s 31-12 loss to the Jags and coach Todd Bowles, now directly in the line of fire, readily admitted so. After a sensational performance in the opening-week win at Detroit, Sam Darnold has floated gently to earth, humbled by the 167 yards his offense generated. It’s tough to say where the Jets are headed, but if the defense continues giving up 503 yards, like it did Sunday, we assume it will be to one of the top four picks in the 2019 Draft. Now we know the truth: The Minnesota Vikings slept through their 27-6 loss to the Bills two weeks ago. Rookie QB Josh Allen (36.3 rating) completed only 48 percent in the 22-0 loss at Green Bay for 151 yards and two interceptions. The offense netted only 145 yards, had only 11 first downs never visited the red zone. What a drop after making the playoffs last season.